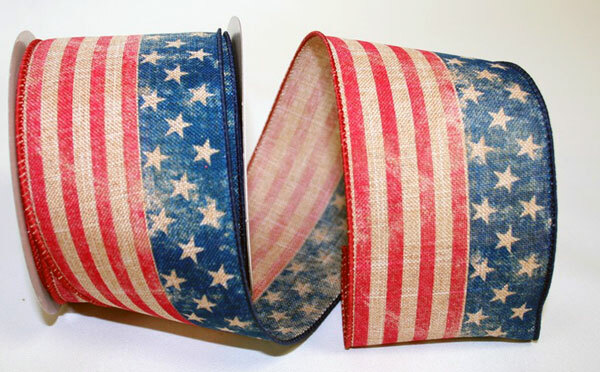 This Red, White & Blue American Flag Ribbon has a "Vintage Look" and is ideal for all the Patriotic Projects! Use our Patriotic Ribbon for 4th of July decorating, to create crafts, make decorative bows and so much more. The wired edge makes it ideal to work with!